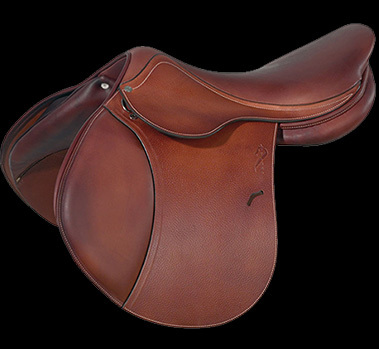 ** ON TRIAL AT THE LRK3DE ** To be added to the WAITING LIST for this saddle, please email info@FrenchUsedSaddles.com with the saddle serial number "#A15 2857" in the subject line. Thank you! 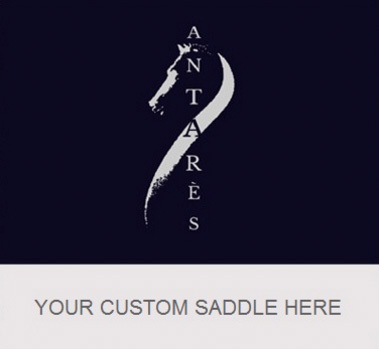 2015 Antares Dressage Saddle in EXCELLENT condition. Black, full French calf leather. The saddle has two small holes on the back of the cantle from a previous nameplate. 17.5" deep seat (Cadence model) with regular twist measures true to size. Flap 2N measures 15.75" from the top of the stirrup bar to the bottom of the flap. Flap width is 13.25" at its widest point. Tree measures 5" from dot-to-dot. Medium-wide tree. Panels are suited for a horse with a slight wither, and some shoulder definition. ** ON TRIAL AT THE LRK3DE ** 17.5" Devoucoux Makila Lab E Dressage Saddle # 16S35011825 (Flap 3P, Calf) - BLUE PIPING!